The College View provides a breakdown of the main four parties’ manifesto points on education, in the lead up to the General Election of 2016. Fine Gael’s 2016 education policy focuses on funding for Third Level institutes, making college a viable option for everyone and ensuring the degrees they receive make students highly employable. Increasing taxpayer support in higher education was a main issue due to the funding gap of €100m to provide for a growing student population. They have also promised a €150m Capital Plan for more facilities, including the Grangegorman DIT project. FG’s 2016 manifesto includes no mention of changing student fees, reintroducing postgraduate grants or a stance on a student loan scheme, unlike other parties. However, in their 2011 manifesto, they proposed a student loan scheme to be put in place until registration fees were abolished. These fees have been increased by €1000 since 2011. Postgraduate grants were also cut, which Minister Howlin said would save around €12.6m. However, under the Student Support Act 2011 the party did set up a student grants appeal board, in accordance with their promise for a faster and cost effective system for paying student grants. Fair access to third level education is something that has been mentioned by the four main parties. FG’s manifesto promises to develop online universities, as well as making part-time courses available at universities. One of the leading education points that has come out of Labour’s current manifesto is the aim to reduce the student contribution fee by €500 in 2017. However, last week Minister for Education Jan O’Sullivan of Labour stated in the press that they cannot rule out increasing fees for third level, contradicting their manifesto. Labour will not announce their stance regarding student fees until after the election. The manifesto promises to extend free part-time third level education to those at work, making a total of 100,000 free part-time places available. With number of students entering third level education continues to rise year after year, their manifesto has promised to increase funding by €15m each year to tackle the reduction in quality that can come with a rise in students. Following on from this, Labour wants to provide €25m to third level institutions for better staff-student ratios. The manifesto promises to provide an extra €10m to better support disabled and disadvantaged students. As mentioned by two other leading parties, Labour promise to bring back postgraduate students grants by providing a new €60m fund. They followed through with the 2011 plans to relocate DIT to Grangegorman. Fianna Fáil heavily focused on student fees and grants in relation to Third Level. Their manifesto promises to freeze student contribution fees at their current level of €3000 for the next 5 years. Despite these promises, their manifesto states they wish to explore an income contingent loan system. However, they have spoken out in the press and stepped back from plans to introduce the loan system. They were unable to get the plan independently verified, and thus are setting it aside. It is uncertain whether they will follow through with the loan system once in Government. The manifesto promises to keep the undergraduate maintenance grant, while adding an additional cost of €12.5m annually. They also wish to increase the Student Assistance fund at a cost of €4.7m annually. They wish to review the effectiveness of access policies, to ensure the needs of disabled and disadvantaged are being assisted effectively. Like other parties, FF’s manifesto looks into re-introducing the post-graduate grant system with the 2010 criteria. 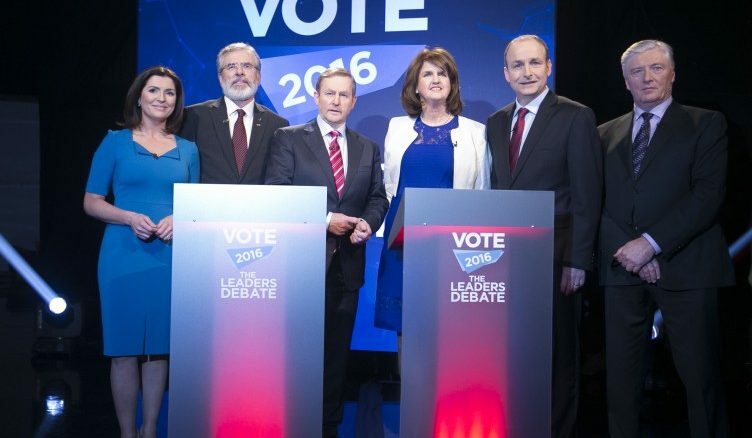 Their manifesto promises to increase current funding to Higher Education institutions by €100 million. Unlike any other party, FF’s manifesto promises to freeze public transport fares for three years, while discounting fares for Third Level students and people up to 25 years old. Sinn Fein stress that education is a basic human right and academic freedom should be protected. Thus they have a firm anti-student loan stance in their 2016 manifesto. This coincides with their 2011 manifesto which promised free education (including third level) was a top priority. Their manifesto sets out a plan to abolish student fees over a government term by gradually reducing student contribution. This is a continuation of their opposition to reintroducing fees in 2011. Postgraduate grants are planned to be reintroduced, as well as reversing changes in adjacent grants so more people can avail of them, according to their manifesto. Again this lines up with their promises in 2011 when they wished to reform the grant system to take into account the real cost of college. They wish to increase the back to education allowance to €188 for under 26s, as well as extending funding supports for people with disabilities in higher education to part-time students to maximise education accessibility. Investment in infrastructure and additional funding to tackle shortages at third level are also promised. They hope this investment will create 250,000 jobs over the next five years.